From the moment you watch the introductory story, you are sucked into the life of a pirate. The 3D graphics are exceptional, and the reels and background are no different. 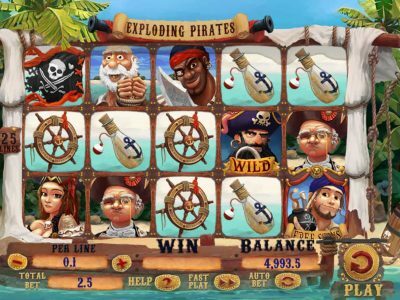 With looming figures on either side of the play, this game transports you instantly onto the High Seas. The music sings of adventure and promise. This Betsoft Bitcoin slot works well on PC, tablet, and mobile phone. Fantastic characters and animation display themselves in a 5 reel, 30 pay line format. The Pirates offer medium volatility as they pillage their way through the High Seas. The life-like characters and symbols you will encounter on your journey to save the Damsel in Distress include the handsome, rope swinging Ben Sawyer, grouchy and chunky Captain Blackbeard, the Cannon, Treasure Map, Compass, Pistol, Parrot, Grog, Gold coins and the beautiful Damsel. There is no set wild Icon. The parrots are the scatter. 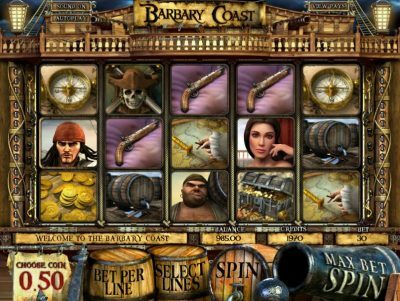 The controls on the bottom line are Choose Coin, Bet per Line, Select Line, Max Bet and Spin are all set in authentic looking barrels and ship cannons giving the game further authenticity. Above that, you will find Balance, Credit Bet as well as an information line all nicely set on scroll looking paper. Finally, on top of the screen you will find Sound, Auto Spin and View Pays. But beware – these scallywags have provided no Turbospin. If you get 3 or more Parrots, the Scatter, it triggers free spins, and you will receive instant Bonus Credits. No additional free spins can be won during free spin mode, and no other features can be activated. When you land 3 or more Ben Sawyer symbols, you activate the Click Me Dashing Sawyer bonus. Here, you will click on each icon to unveil your earnings. The Black Beard Fight bonus round is activated when your spin yields 3 or more Black Beard symbols. This allows you to go up against Black Beard in an attempt to free the Damsel in Distress. Getting 5 woman and you hit the jackpot! Not only do you get 5 women but you also get 300 coins. Another bonus feature that occurs is when the Canon icon lands on center reel. This turns the whole reel wild. From the moment this game is loaded this game, players are transported to Captain Blackbeard’s adventures that had jovial music to match. 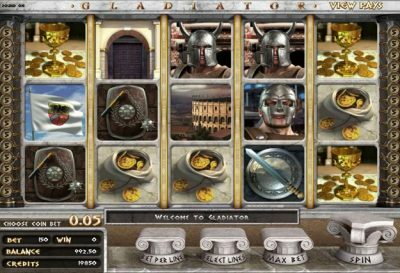 This is a thrilling game with lots of bonuses and treasure to be found. What an excellent game to play and this comes rated as one of the industry’s favorites.